Estée Lauder continues to impress me every time I visit the counter, which has been way too often as of late. I must admit, I gave into their supposed image of being a brand for more mature women and never gave it a second thought. The line has been revamped and has been releasing some great products, consistently. 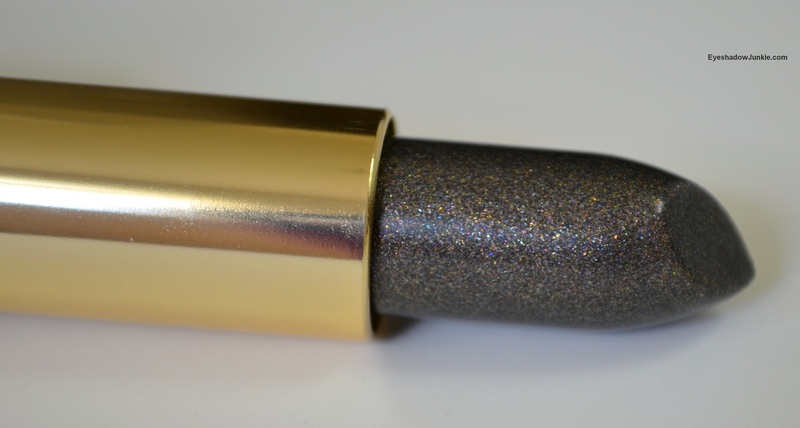 This lipstick may look very scary in the tube and perfect for the Halloween lover, but it is pure magic. It is a Pure Color – Vivid Shine Luminizer. The Luminizer I picked up is in the color Gunmetal. What it does is transform any lip color into a deeper, more dramatic shade. (Estée Lauder has three other Luminizer’s that either add a foil, pearlescent or golden finish to your lip shades). All Luminizers are, unfortunately, limited edition. What interested me in the Gunmetal shade is I have a small-ish collection of mistake lip colors. 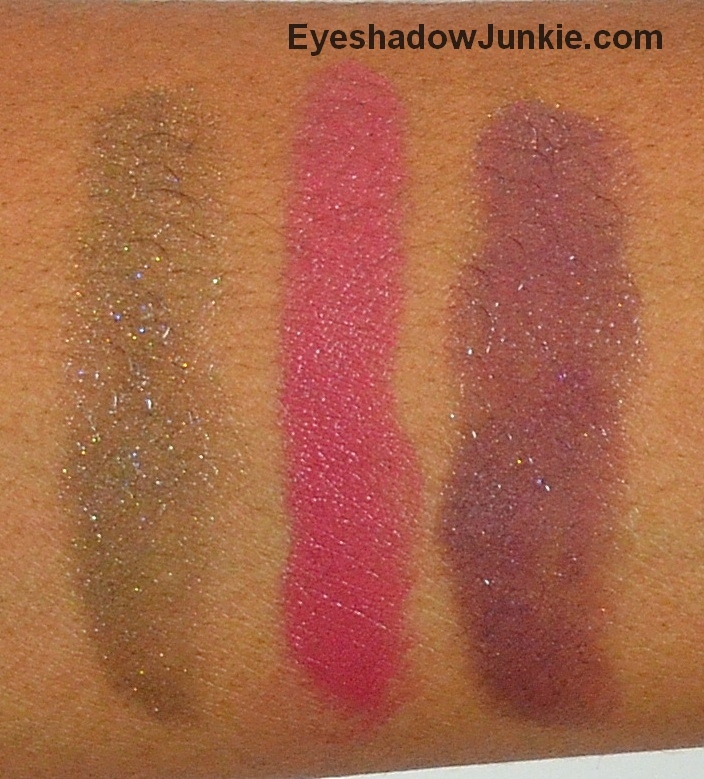 These ‘mistake’ shades are either colors I purchased online or shades that looked great when swatched on my hand, but looked nothing short of horrid when worn on my lips. I hoped that Gunmetal would help transform these ‘mistakes’ into something wearable and lovely….and it did just that!! The gray or gunmetal color is sheer, but buildable. 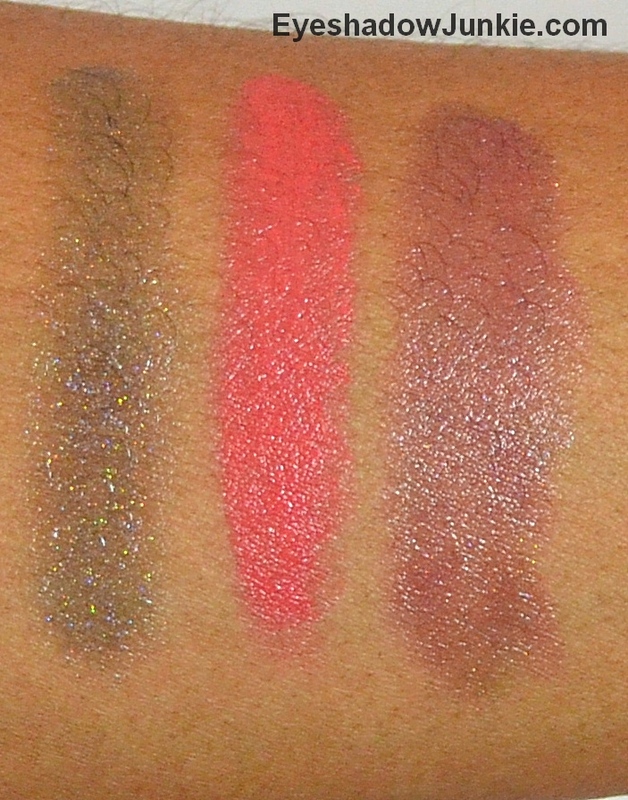 The lipstick is infused with green, blue and pink micro shimmer. The product itself is moisturizing. Wear time will depend on the shade it is paired with. This is Gunmetal layered with Nars’ Bloodwork lipgloss. 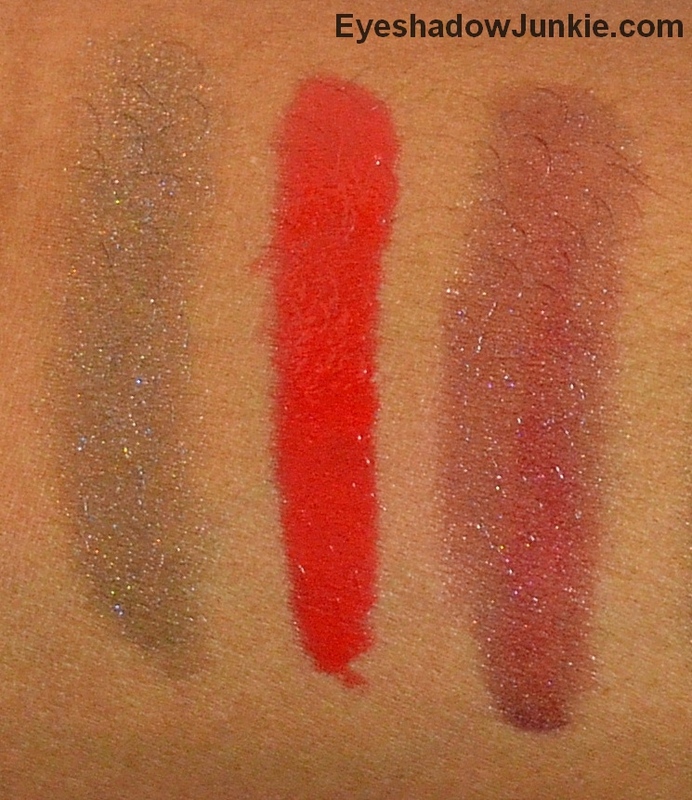 This red is insanely pigmented, very bright and should not be in my makeup collection. To make this work for me in the slightest way, I had to apply a very tiny amount with my finger over a lip balm. I don’t believe I’ve ever worn this shade and left my home. Gunmetal Luminizer transforms this shade into a nice plum-y red that looks great on. Since Bloodwork is a gloss, I got better results by applying Gunmetal first and the gloss on top using a lip brush. For a short time, I was desperate to find a coral shade that worked on my skin tone. I purchased several in my search and all landed into the Fail Bin of my makeup storage. Here is Bobbi Brown’s Rich Lip Color in Guava. I can’t explain how bad this color looked on my face. The color is way too bright for me, but Gunmetal changes this shade into a nice wearable mauve-y pink. 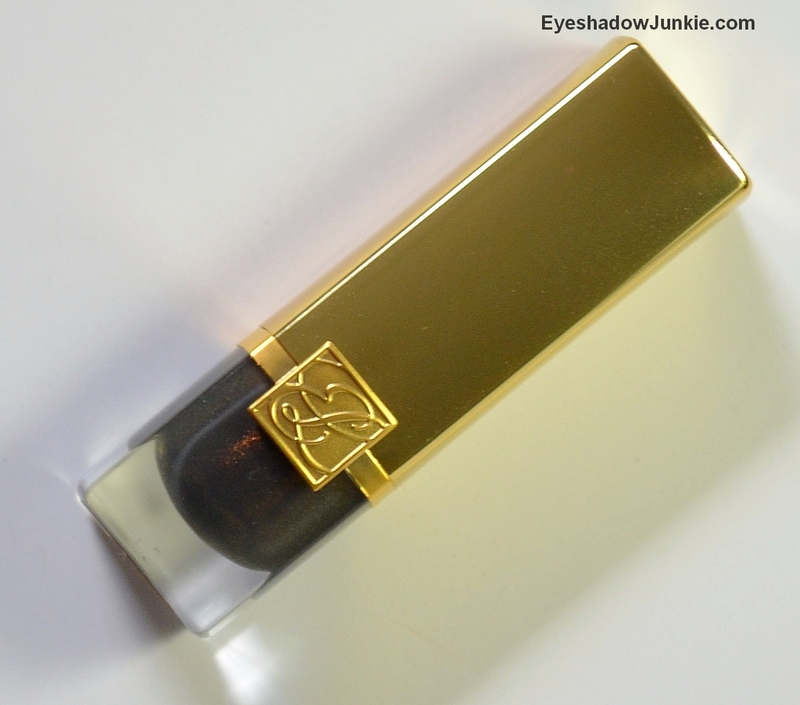 Here is another Bobbi Brown Rich Lip Color that I wasn’t able to get to work. It is in the color Plum Rose, which is a touch too bright and cool-toned. Gunmetal transformed this shade into a nice mauve purple, which I love. I used Gunmetal as a ‘shade doctor’, but this product and the others in the collection are meant for fun and to add a different effect to your existing shades, stains or lip liners. They are definitely worth checking out before they’re gone. Luminzer’s retail for $25 (0.13oz/3.8g) and are available at Estée Lauder counters and online.